A few weeks ago, I spotted an unusual sight on University Avenue: a pedal-powered bicycle billboard. The gentleman pictured in the cell phone snapshot above is riding along on the sidewalk toting a Craig’s Cuts billboard behind him. I’m always happy to see new bike ventures pop up in our city! 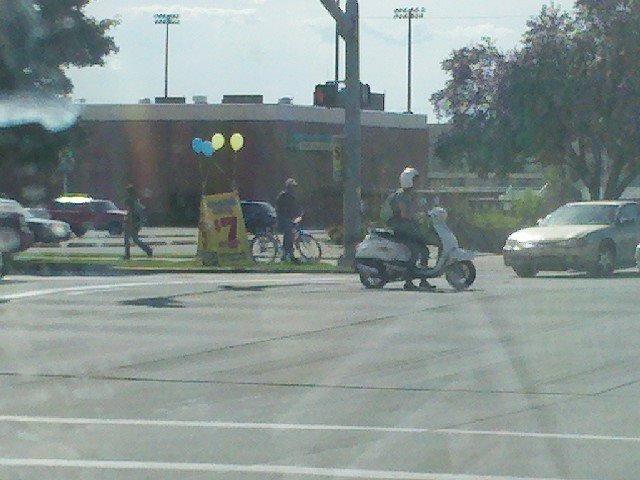 Next up for Provo: bike taxis between BYU and downtown. Come on entrepreneurs – I’ll be your first customer! This entry was posted in University Bike Scene by Jamie. Bookmark the permalink.